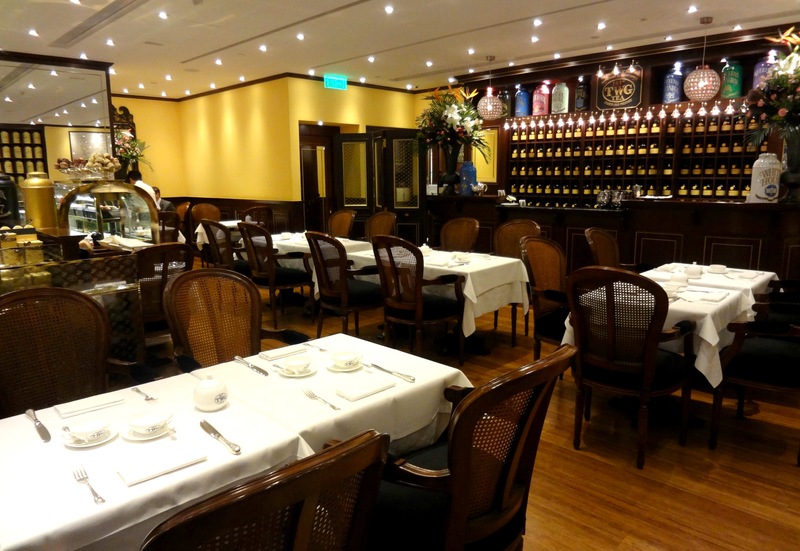 TWG Tea Salon & Boutique review – bon appe-tea! 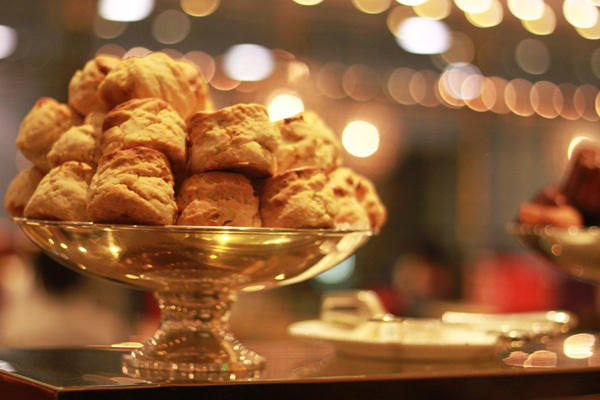 At afternoon tea, it can be easy to lose focus… cute bite-sized finger sandwiches, scrumptious sweets, and of course, buttery yummy warm fuzzy-inducing scones (with clotted cream, of course). 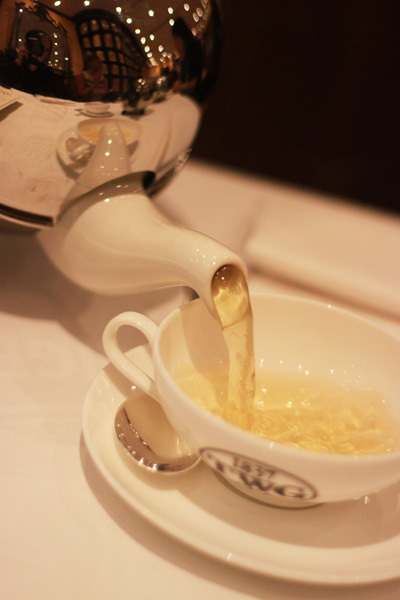 But it is called afternoon TEA for a reason – so who better to bring the focus back on your humble cup of char than TWG Tea! I was invited for an epic afternoon tea of girlie chats, delicious nibbles, and pot after pot after pot of more tea than you ever thought existed with blogger BFFs Jasmine of Dress Me and Vanessa of All Things Indulgent, plus the lovely Renee from Flare and TWG’s Cathy. And for a truly special afternoon tea, you can’t go far wrong. 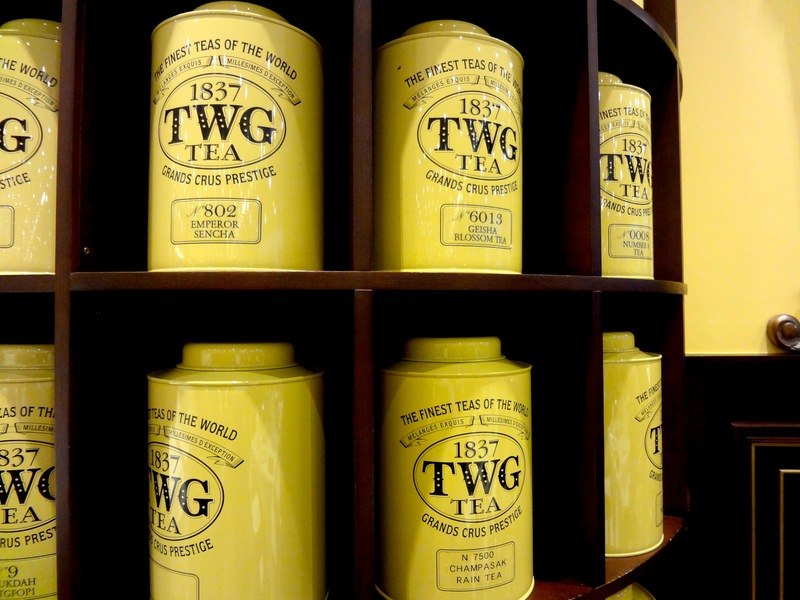 TWG started in Singapore and its Hong Kong Tea Salon & Boutique in the IFC mall has a Raffles-esque colonial feel, with rattan furniture, smartly suited and booted staff, and walls lined with iconic vintage-style tins of their signature 1837 blend. Afternoon teas are so ten-a-penny here that it’s lovely to find one that still feels special and a treat, without being in yet another five-star hotel. 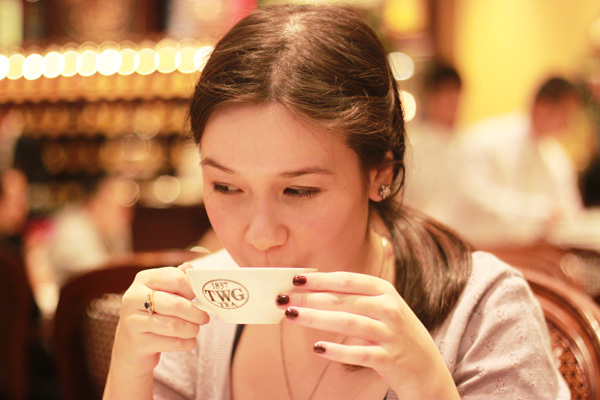 Time has a habit of standing still in TWG, and in hectic HK, that’s actually kind of a joy. 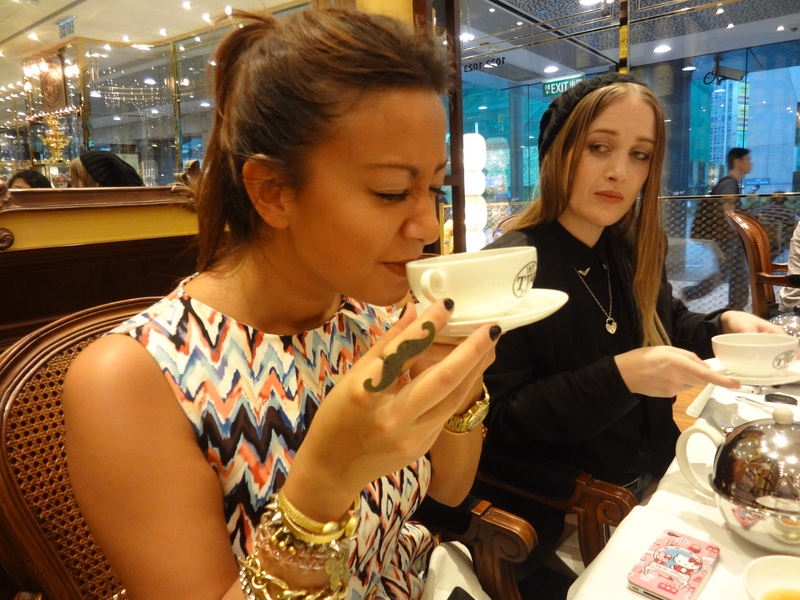 TWG has the largest collection of teas in the world… and I swear to God, we might have tried most of them that afternoon. 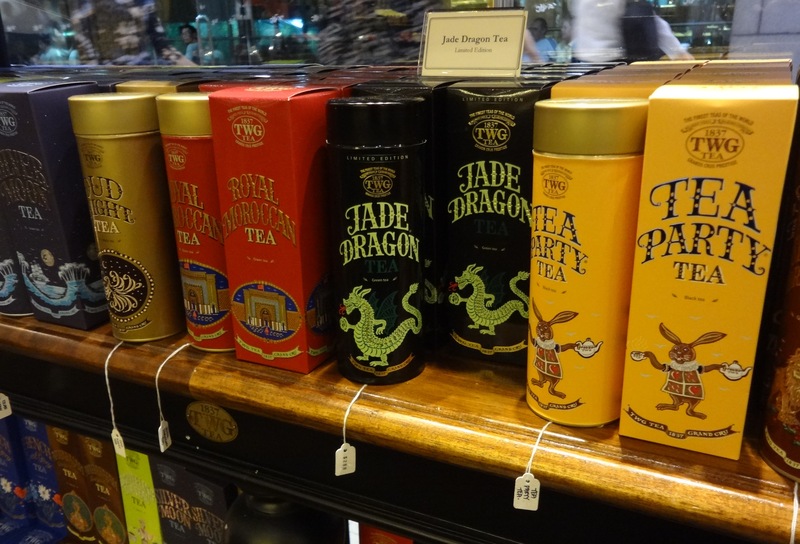 Black tea, green tea, white tea, iced tea, Christmas tea – you name it, they’ve got it… and in spades! Their tea menu goes into the hundreds and to be honest, is slightly overwhelming, especially when they all have ridiculously pretty names like Silver Moon, Jade Dragon and Weekend in Casablanca (coffee could never get away with such romanticism, right?!). First tea fact of the day: all these different ‘colours’ of tea in fact come from the same plant, it is the way that the leaves are processed that determine the type of tea created and its level of caffeine. Who knew?! And if you thought it was impossible to get wired off tea… well dozens of cups of tea and one very massive sugar high later, and we beg to differ! 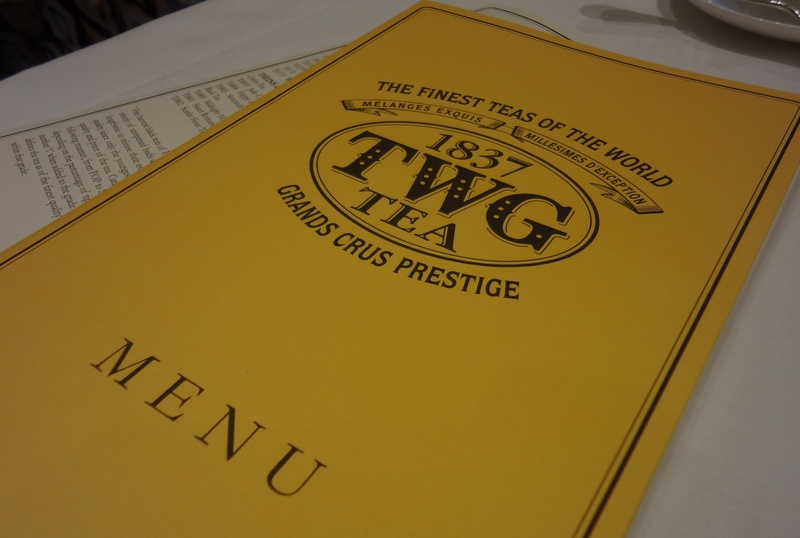 The majority of TWG’s food is also tea-infused, and although they are more famous for their afternoon tea and desserts (including tea-infused ice-creams and sorbets – yes, I’ll definitely be back! 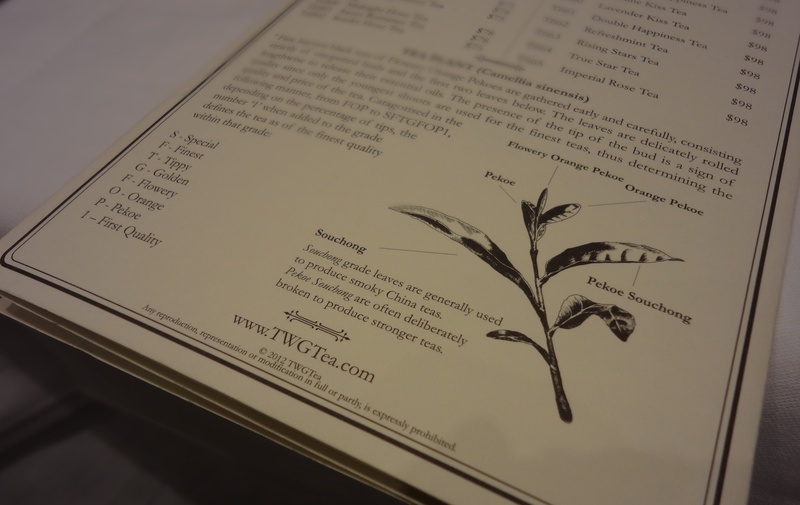 ), they also do a full a la carte tea-ified menu too! 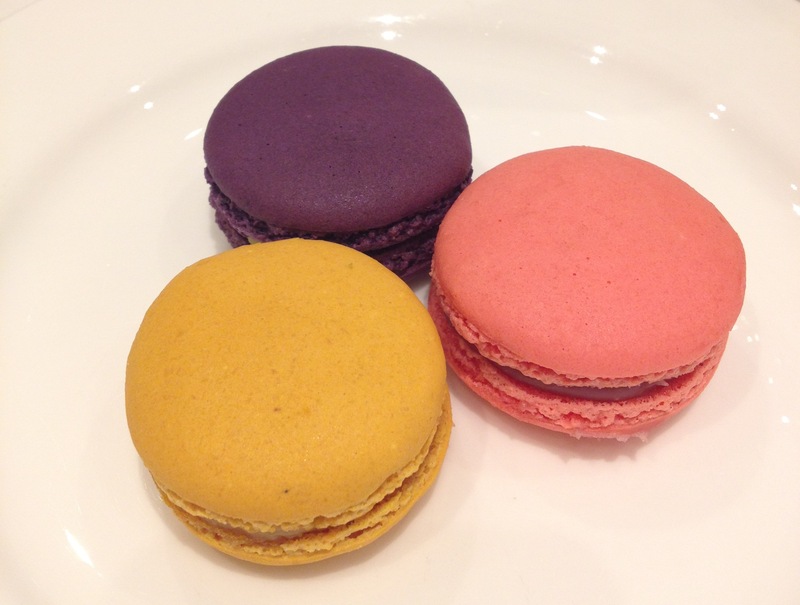 We stuck mainly to their “Fortune Afternoon Tea” offering, which includes three macarons, two freshly baked scones or muffins, and a croque monsieur sandwich. 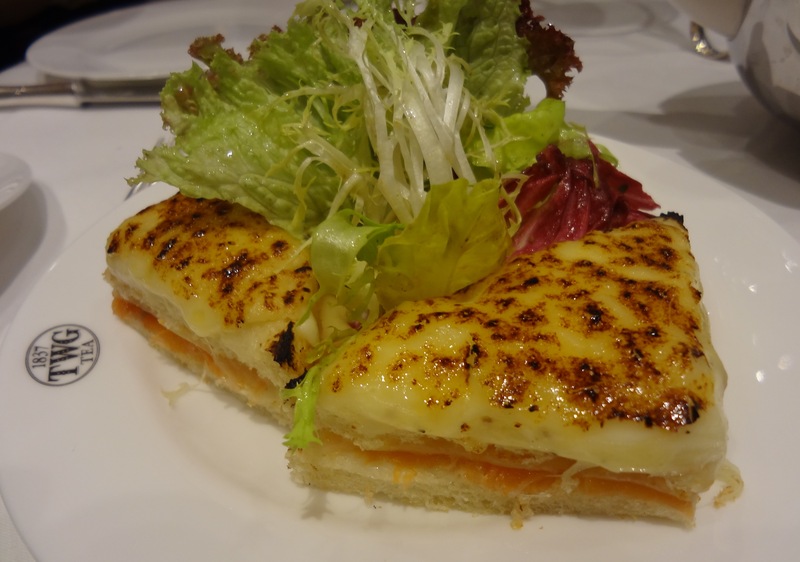 Our smoked salmon croque monsieur with Gruyere cheese apparently boasts a tea infusion but it was pretty subtle, making for a salty smoky comforting start to the meal. 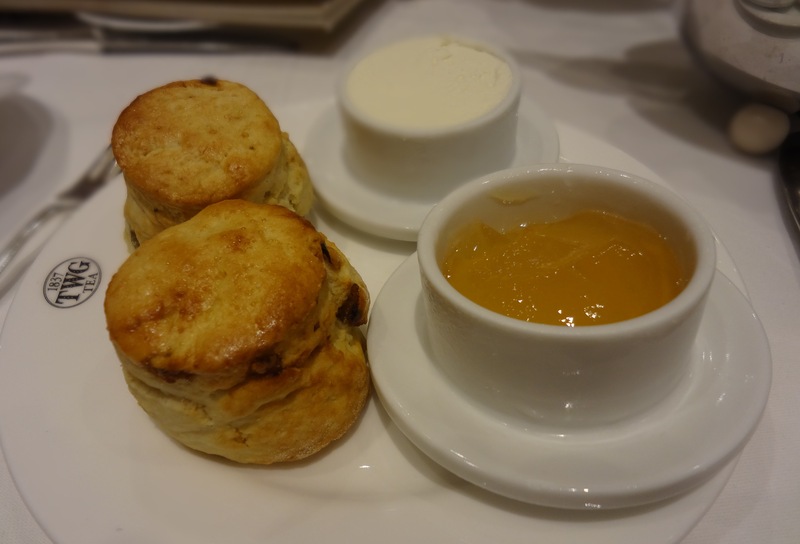 The scones were also great – warm, buttery, homely and everything scones should be. They were pretty much the only part of the set that didn’t boast a TEA!!! component in them… but that’s only because it’s found in their accompanying tea jelly instead! And trust me, I was sceptical, but the tea jelly was a total revelation. Smeared on top of a buttery scone with lashings of thick indulgent clotted cream, it was total heaven – a heaven I never even knew existed before! Sweet but not too sweet yet still with a distinct delicious tea flavour and just the perfect amount of wobble, I’m not entirely sure I can even explain why or how they created this tea jelly alchemy – but I’m very grateful they did. Try it to believe, folks! 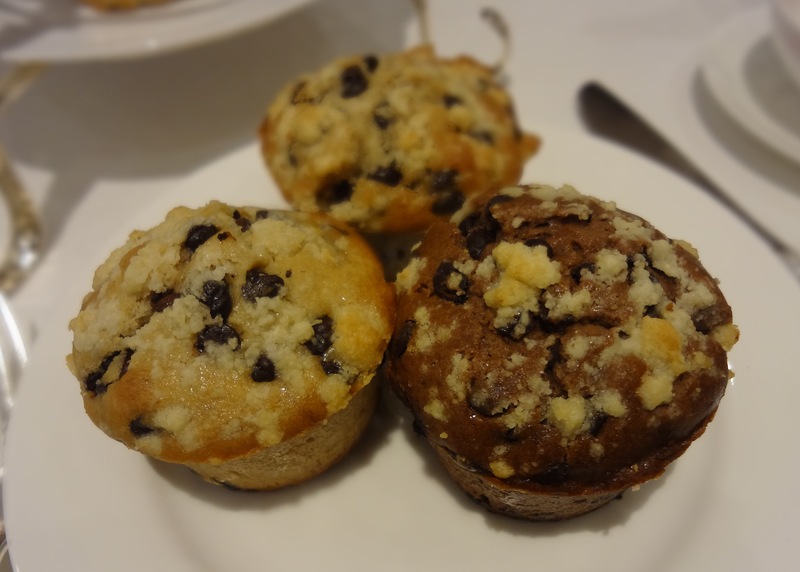 The addition of muffins to the set was a nice unexpected element; these ones almost tasted more like chocolate chip cookies, so I wholeheartedly approve. I’m not sure I can let go of the idea of needing scones in an afternoon tea though! 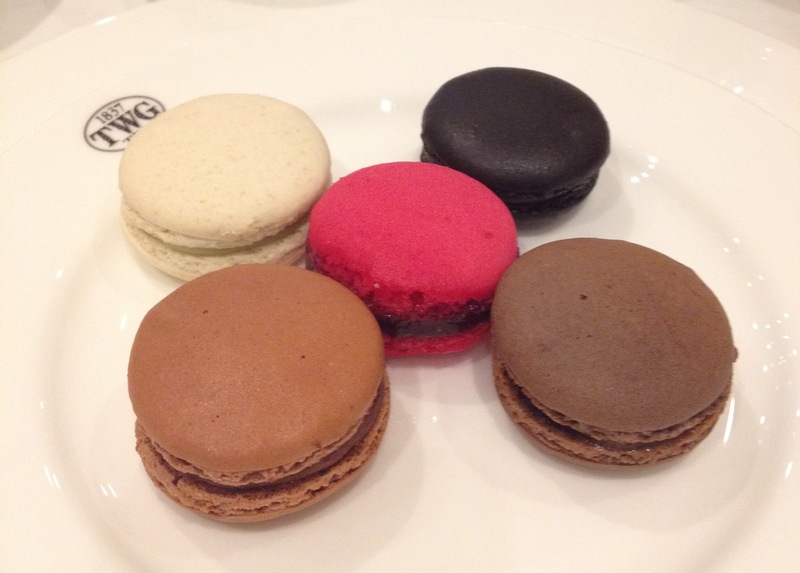 However, TWG’s most famous dessert is without a doubt, their tea macarons. Between us, we managed to sample all eight flavours on offer, each infused with a different complimentary tea variety (and were near delirious with the combination of sugar and caffeine by the end), and they were a deserved highlight. I’ll be honest, I couldn’t really taste much of a tea element, but that didn’t make them any less delicious! 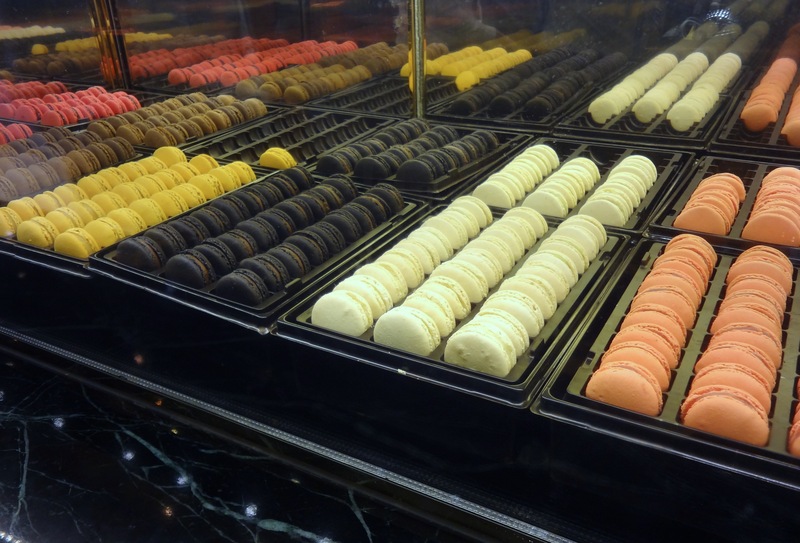 My absolute favourite was the Napoleon caramel black macaron – there’s just something so wonderful about getting an intense rich lip-smackingly moreish caramel hug from an item so airily daintily prettily delicate as a macaron. But really, I have to end on the tea, don’t I? Forget all the tea in China – this was all the tea in the rest of Asia, Europe, Africa and pretty much everywhere else that might have grown a single tea leaf in their time too! 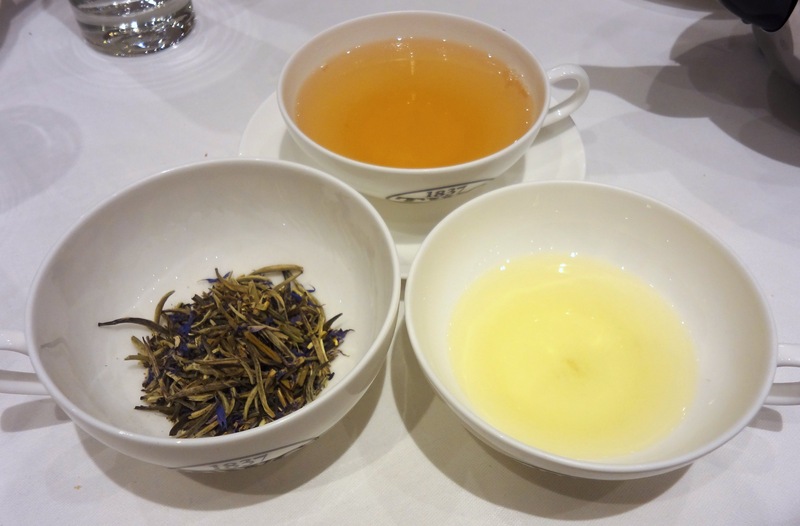 Jasmine, Vanessa and I sniffed leaves, sipped char and oohed and ahhed over the different colours of our brews all afternoon – with blends featuring cornflowers, Christmas spices, passion fruits, berries, vanilla, anise and heaven knows what else. 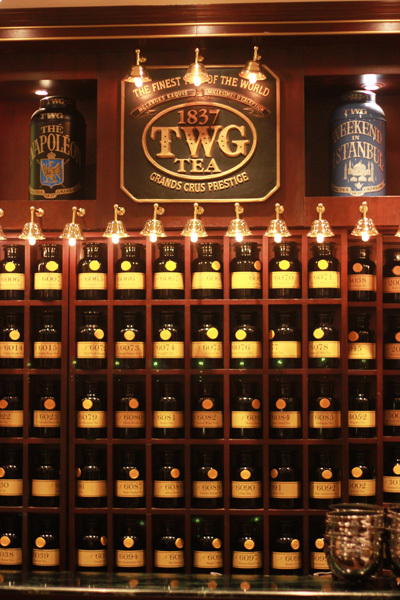 TWG steeps your tea for you, meaning you aren’t left with clumps of leaves swimming in your teapot and a radically different strength of brew at the end from when you started. They also serve it up in the most fantastic metal-encased teapots that keep heat for up to an hour (clearly they realise how long us girls can spend nattering over just one cup – and yes, I’ve already asked for one for Christmas). My favourite, and the one I left with a tin of, was Silver Moon – a delicate light little number that practically dances over your palette. Aromatic but not overpoweringly so, it’s a green tea blend accented with strawberry and vanilla, and I’d recommend it for those of you who like your teas light, clean and different. 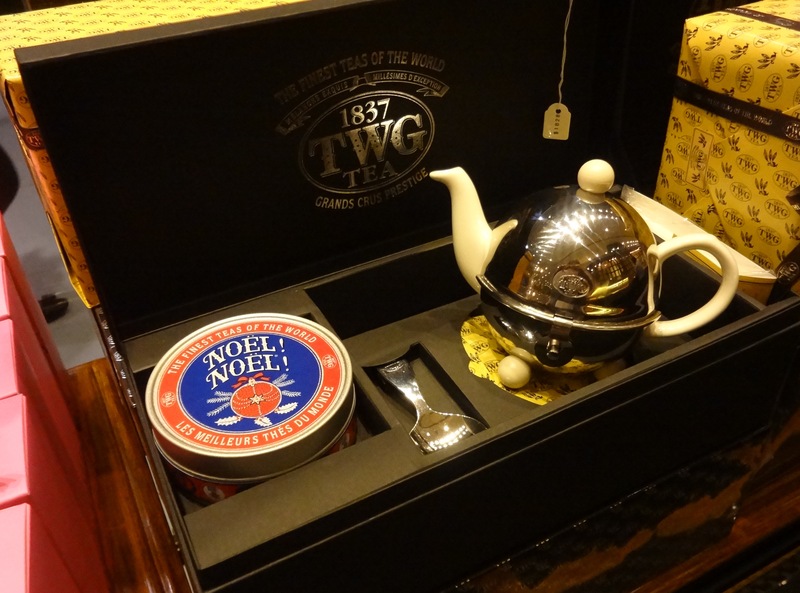 The fact that all TWG tea comes beautifully presented, in gorgeous packaging and highly covetable gift sets, is the icing on the cake… or should that be the tea jelly on top of the scone?! 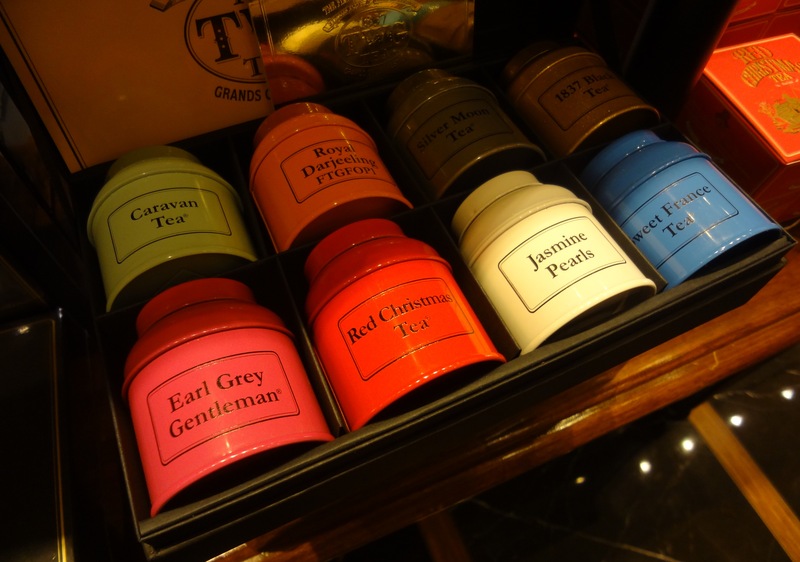 TWG’s Tea Salon & Boutique is a special teatime treat in every sense of the phrase. 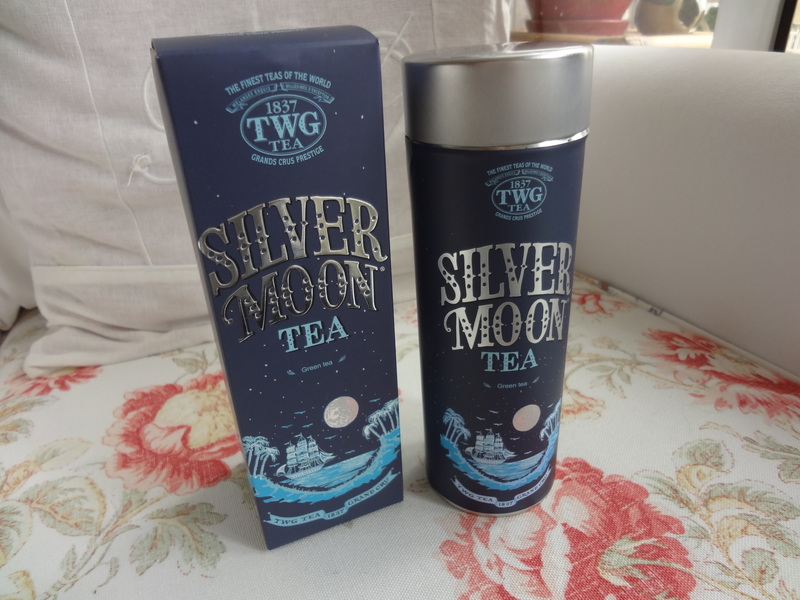 Leave the coffee addicts with their ice-drips and weird tiny cups; instead, come armed with a couple of girlfriends, a desire for tea and a clear schedule for the long hours you’ll no doubt lose to the TWG time warp. Alice couldn’t have had more fun at The Mad Hatter’s Tea Party! 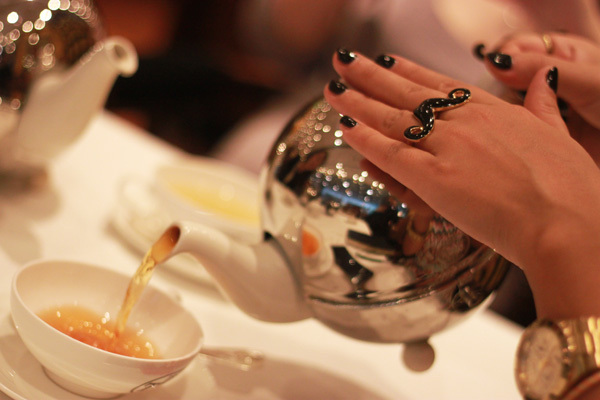 The Fortune afternoon tea set costs $268 and is served from 3-6pm daily. A Chic afternoon tea set, including finger sandwiches but no macarons, is also available for $228. P.S. 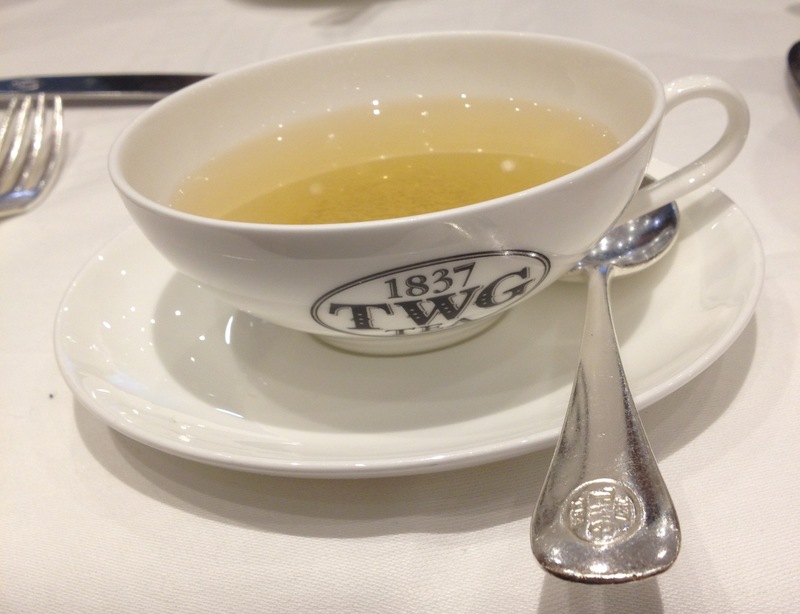 After some legal wrangling over their name, TWG is now known as Tea WG in Hong Kong – restaurant remains exactly the same though! 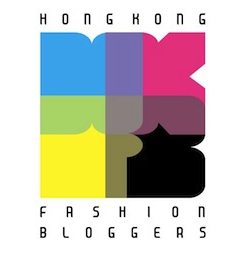 This entry was posted in Food, Hong Kong and tagged afternoon tea, afternoon tea Central, afternoon tea hong kong, afternoon tea IFC, afternoon tea set hong kong, best afternoon tea hong kong, best dessert hong kong, best macarons hong kong, best tea hong kong, dessert, dessert hong kong, eating out, high tea, high tea hong kong, IFC mall, macarons, macarons hong kong, review, Tea WG, Tea WG HK, Tea WG Hong Kong, TWG Silver Moon tea, TWG Tea, TWG Tea Hong Kong, TWG Tea Salon & Boutique, where to buy tea hong kong, where to eat in IFC. Bookmark the permalink. I love that last picture of you, Rach! I’ve always wanted to love tea, but I think I’m still searching for the right one (I was raised a coffee girl ;p). Silver Moon sounds like I’d really enjoy it, though. Hit me up anytime if you fancy a cuppa–I’d love to try this place! Thanks Elizabeth! And I should be thanking the lovely Jasmine for her awesome photo skills in that last pic – pretty sure I didn’t look nearly as good in real life!